With the aim of meeting quality and sustainability standards demanded by the market, through the years Bruschi has improved its production processes and adjusted its organizational approach to the internationally recognized sustainability principles. It has indeed achieved ISO 9001 and IATF certifications, which represent the reference standard for quality management systems: IATF certification is especially relevant for the automotive industry, a challenging and complex market that requires high quality standards. To have a look at the certifications achieved by Bruschi, click here. Through the implementation of these activities Bruschi has taken an approach that promotes the integration of HSQE area with the other business areas involved in the management of quality issues, thus encouraging internal cooperation and sharing of sustainability principles. Bruschi always acts with due regard for environmental protection through a business model based on rationalization of resources and on the adoption of sustainable practices. In order to reduce the company’s impact on the environment, Bruschi sustainability policy is based on continuous improvement of production processes, accurate management of waste disposal and meticulous selection of raw materials. Indeed, Bruschi team daily checks and examines raw material that lies at the heart of the production process: zinc. It is a natural and essential element for the environment, which has remarkable properties such as versatility, durability and high recyclability rate. Products made of zinc that reach the end of their life cycle can indeed be recycled without deteriorating or losing physical properties, thus representing a new source of raw material. 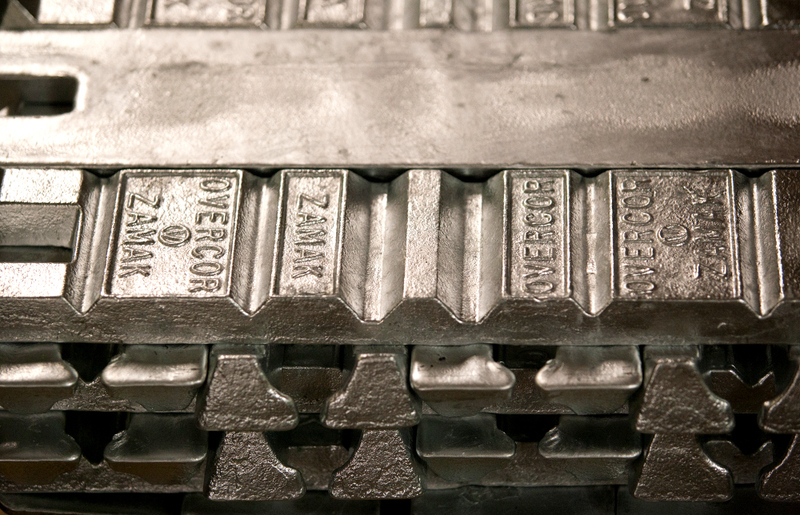 International Zinc Association reports that globally about 45% of zinc is recycled, reaching 50% in Europe and North America. Bruschi sustainability policy promotes protection of human rights, of diversity and of equality. Bruschi model supports the growth of a fair, transparent and inclusive culture, which guarantees health and safety conditions at work, professional development, freedom of association and collective bargaining. It refuses all forms of cultural and social discrimination and it fights against all forms of forced and child labor. Bruschi also supports a corporate culture based on trust, motivation and staff involvement by promoting training activities in order to increase business culture and knowledge. Bruschi especially fosters the development of local communities, by offering employment opportunities and by establishing long term relationships with local suppliers, with the aim of promoting the growth of regional economy. As far as CSR (Corporate Social Responsibility) is concerned, Bruschi has taken an approach based on the principles of ISO 26000 Guidance on Social Responsibility: accountability, transparency, ethical behavior, respect for stakeholder interests, respect for the rule of law, respect for international norms of behavior and respect for human rights. ISO 26000 SR is considered the reference point for companies that want to undertake a path aimed at the acquisition and at the sharing of ethical and sustainable practices inside and outside the company. Still concerning ethical issues, in 2017 Bruschi has obtained SMETA 4-Pillars certification awarded by nonprofit Sedex. SMETA is an acronym for Sedex Member Ethical Trade Audit. This audit certifies the ethical behavior of the company in four different areas: labor standards, environmental management, health and safety and business integrity. With the achievement of SMETA 4-Pillars Bruschi has thus been recognized as ethical company, able to instill trust and security to its clients, introducing itself as a responsible supplier mindful of environmental sustainability. With the introduction of this new sustainability policy Bruschi has launched various activities aimed at increasing business sustainability level, in order to achieve a balance among quality, environment, staff management and ethics. Bruschi has also set future objectives to further intensify its practices and its knowledge in terms of sustainability, increasingly integrating CSR principles into its business. Please feel free to subscribe to our blog to always be up-to-date with news on Bruschi.